Players born 2003, 2004, 2005 are eligible to play in U10 division. Players however may play up in higher age groups. 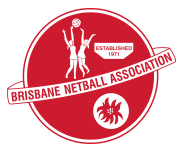 Please note players who have nominated for TIP are not required to pay Kedron Lions fees until BNA have named TIP Teams. Due to BNA not naming these teams until Wednesday 11 September, payment date for players nominated for TIP will have until Friday 13 September to make payment.